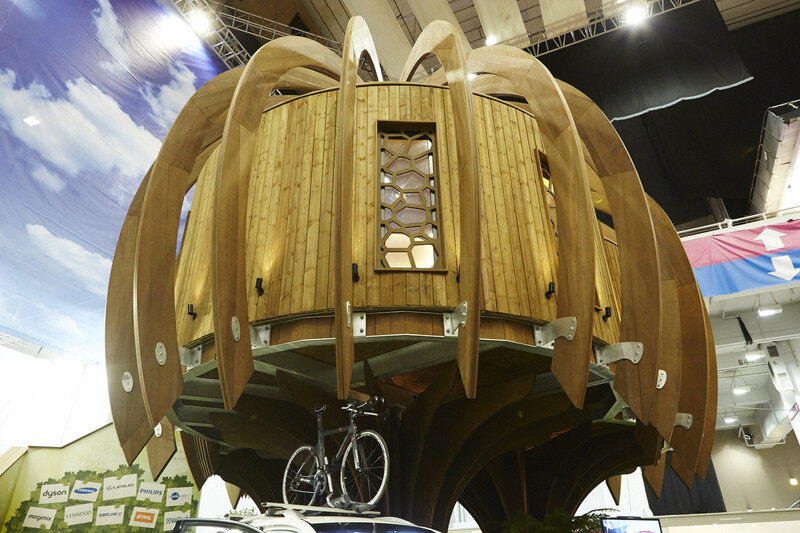 The Ideal Home Show is in full swing and the Quiet Treehouse has turned out to be exactly the sort of show stopper we thought it would be. After all, how many other treehouses are there that can filter out the cacophony of noises we’re subjected to on a daily basis and still be completely luxurious and on-trend? The answer is none. Yet. 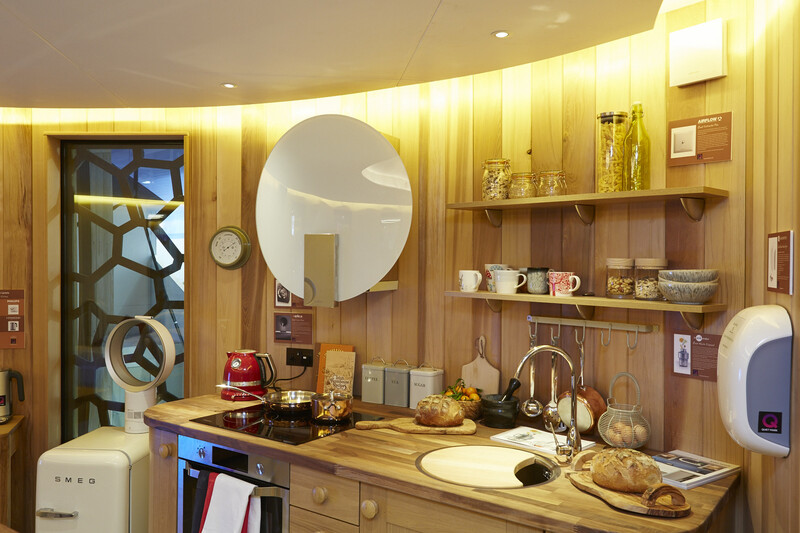 In this post we’re giving you a peek into the Quiet Treehouse by Quiet Mark and John Lewis. 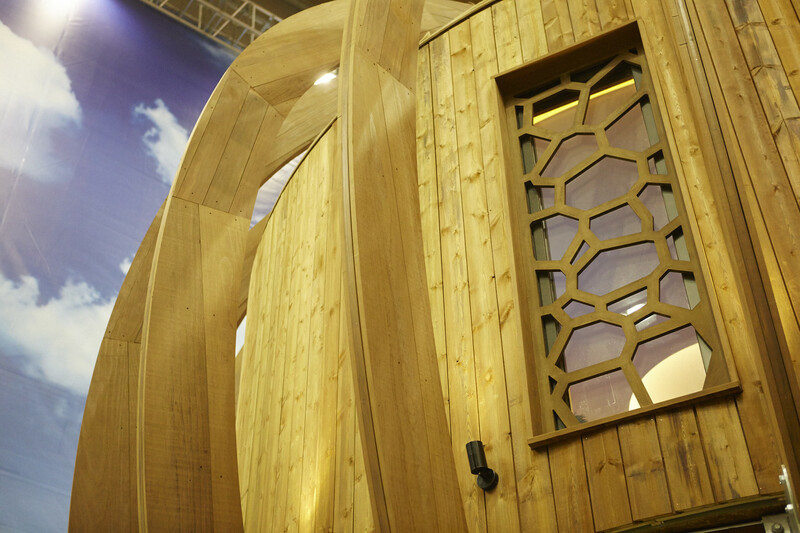 Though we really hope you’ll still come to the show to see how the latest in soundproofing and quiet technology is taking the tranquility our treehouses are already offering, to new heights. 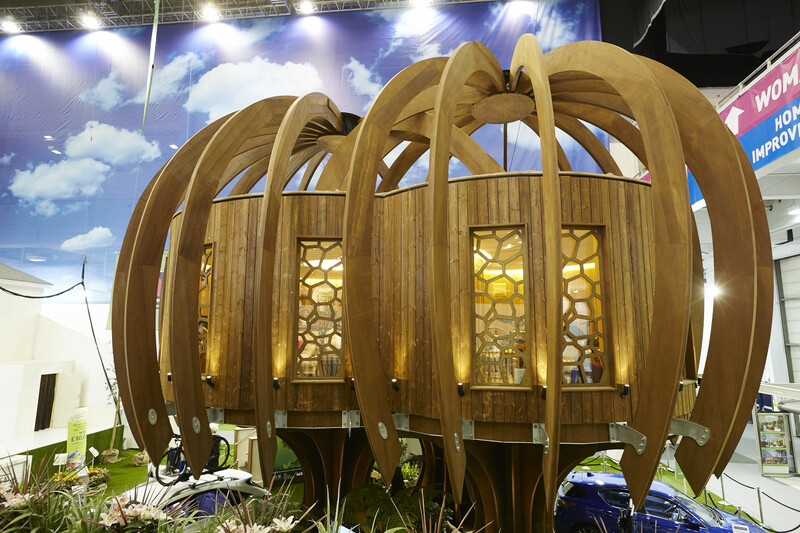 The Quiet Treehouse is the central feature at this year’s Ideal Home Show. 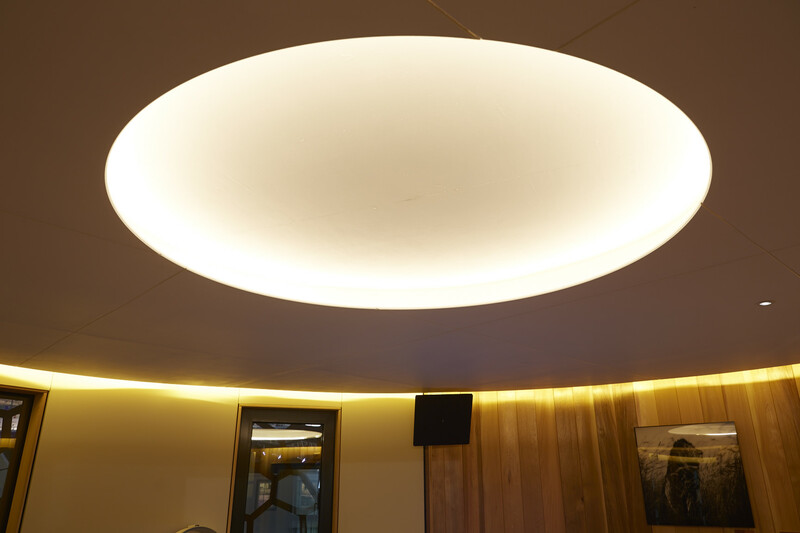 It was commissioned by Quiet Mark, sponsored by John Lewis and designed and built by Blue Forest. 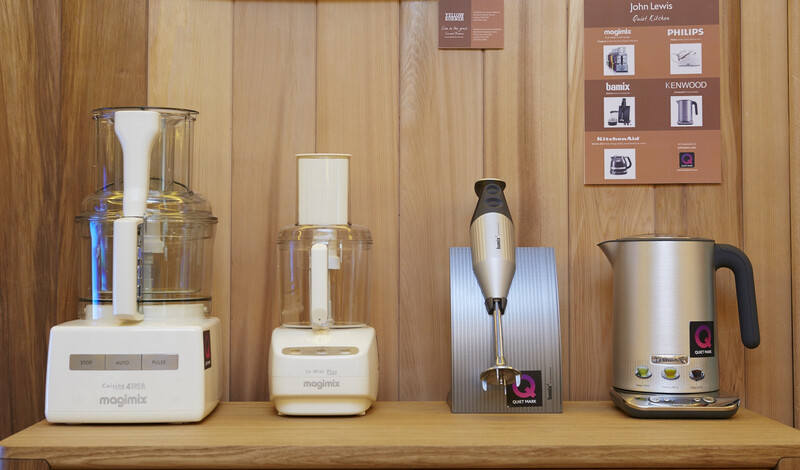 The Quiet Treehouse is equipped with a range of Quiet Mark approved technology. 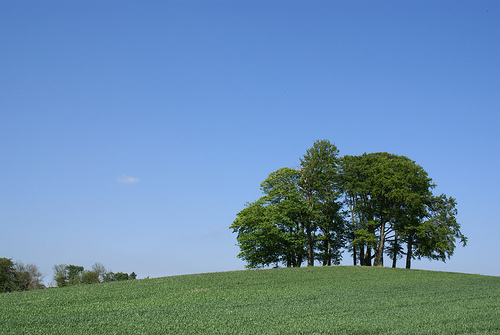 Quiet Mark is the international mark of approval from the Noise Abatement Society and is intended to encourage the development of high-end technology that minimises noise. The windows are made by Cantifix and have been glazed with Pilkington Optiphon noise-reducing glass. 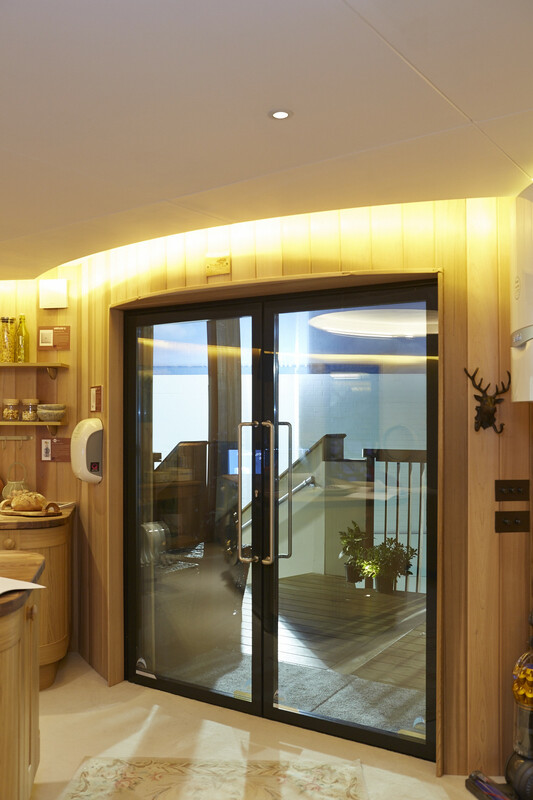 The construction of the tree house utilises a range of soundproofing technology. The walls are lined with Acoustiblok and is insulated with Rockwool to keep sound out and heat in. Kvadrat Soft Cell panels limit and absorb noise inside. 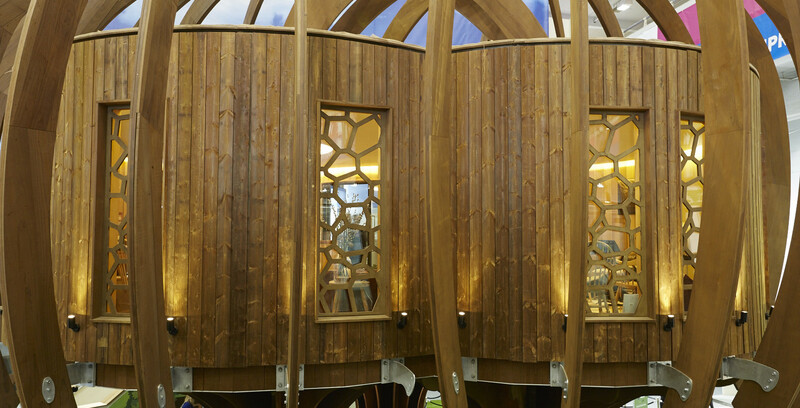 The design of the Quiet Treehouse was inspired by the curves of a copse of trees.